The South African Reserve Bank's (SARB's) distributed ledger technology (DLT)-based payments system yesterday received the inaugural "Best Distributed Ledger Initiative" award from Central Banking Publications at a gala dinner in Singapore. The initiative, dubbed Project Khokha, is a proof of concept (POC) that was designed to simulate a "real-world" trial of a DLT-based wholesale payment system. Distributed ledgers are a family of technologies where participating nodes in a network each update their copy of a common set of data. Blockchains are a type of distributed ledger where transactions are organised into consecutive groups, or blocks, that are cryptographically secured. The project commenced in January and ran for 14 weeks. It is the first project initiated by SARB's recently constituted Fintech Unit. The unit was established to review the approach to policy and regulation of crypto-currencies, investigate innovation and innovation accelerators, innovation hubs and regulatory sandboxes, as well as experiment with DLT in interbank clearing and settlement. The DLT was backed by central bank deposits which enabled participating banks to pledge, redeem and track balances of the tokenised rand on the ledger. 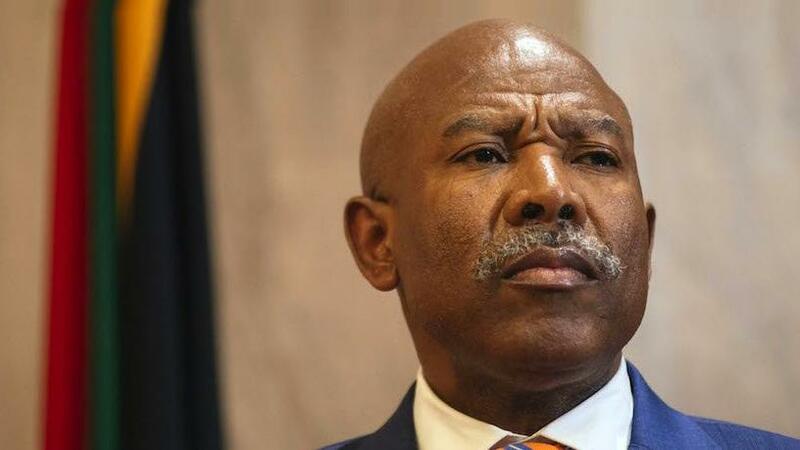 Although the project was a success, with SARB governor Lesetja Kganyago saying the results show the typical daily volume of the South African payments system could be processed in less than two hours with full confidentiality of transactions and settlement finality, there are no plans to go live imminently. The award from Central Banking Publications recognises Project Khokha for its promise shown in the central banking, regulatory and supervisory environment, and for the benefit shown to the organisation that implemented the project. Deputy governor Francois Groepe, executive sponsor of the Fintech Programme and Project Khokha, received the award on behalf of SARB. "We are truly appreciative of, and humbled by, the award and for the recognition of the effort made on Project Khokha. I am proud of the efforts made by the South African community in deepening knowledge of, and leveraging off, new technologies such as distributed ledger-based systems, especially those that are core to our economy such as wholesale payment systems. The award is the recognition of the importance of collaboration, focused effort and shared knowledge in a productive and transparent manner," said Groepe. According to SARB, DLT can perform the basic transaction function of a wholesale payment system. Kganyago raised awareness of the early stage development of the technology during the launch of the Project Khokha report in June. "This is only the starting point. The implementation of a production-ready system requires a deeper understanding of complexities that were not within the scope of this initial project. Key considerations that need to be addressed, over time, include the evaluation of supporting frameworks and other systems that integrate with the wholesale system, as well as the legal, regulatory and compliance factors," says Kganyago. Despite advances in DLT, its comparative safety and efficiency benefits, in contrast to the current system, still have to be proven, SARB says. In line with its financial stability mandate as well as the accountability for the safety and efficiency of the financial system, SARB will continue to evaluate the potential and risks of DLT, as applied to the collective payments, securities and derivative ecosystems. SARB says it is proud of what Project Khokha has achieved in a relatively short space of time. SARB currently uses the South African Multiple Option Settlement (SAMOS) automated interbank settlement system for banks to settle their obligations on an immediate real-time basis. The Project Khokha POC was not intended to replace the SAMOS system, the central bank says. It points out that one logical step for adoption, which has been mooted by the Central Bank of Brazil, is to install DLT as backup to the "normal" payments infrastructure.